Sailing can be an intriguing hobby for anyone. The breeze on your face, the sound of the water, and the surreal open wilderness at your hands. Nothing compares to the feelings brough upon by nature as it propels you further into the TRUE final frontier. While this may come as a difficult hobby to get yourself into, there are many things you can learn and take in that will help you find your way in the long run whether you currently have access to a vessel or not. Sometimes simply knowing the terms and definitions can be enough to impress someone into feeling like you have a true interest in the subject matter at hand. Who knows what opportunities that could open up for you? So before you set your aspirations of sailing round the world, or embarking on a 3 year journey with Captain Ahab, here are some of the basics to help you get started and on your way. If you are truly serious about getting into the hobby, don’t just read them, MEMORIZE THEM!! The first and probably the simplest form of any boat is the Sloop. This set up is great for the beginner as it requires the minimal amount of rigging and crew in order to run properly. This rig is considered one of the simplest forms because it consists only of a headsail and a mainsail. Much like the Sloop, the Cutter is a simple rig to run and maintain. This rig setup differs to the sloop only because of its additional headsail which obviously requires extra rigging and crew to maintain properly. Probably the more used of the two mast set ups, the ketch consists of the headsails, the main, and the mizzen. This rig can carry either one or two headsails being referred to as either a sloop rigged Ketch, or a Cutter rigged Ketch. Differing only in the size and the placement of the Mizzen, the Yawl set up is much like the Ketch. The Yawl tends to have a much smaller mizzen. As with the Ketch, the Yawl is capable of carrying either one or two headsails. The Schooner consists of two masts with the foremost mast being shorter than the main. This rig has a variety of different ways in which it can carry its sails. One of the more seen options is to run two sails between the masts. For some reason, although very graceful, the Schooner rig seems to be fading from the sailing scene altogether. Now seeing its way out of the scene, the Gaff rig seems to be slightly outdated. Hosting a large single boom in the middle of the rig, the Gaff supports an almost square sail as opposed to the triangular sails you see in today’s world. Because of its design, this setup makes the boats very fast off the wind but also makes them very difficult to handle when they are on the wind. 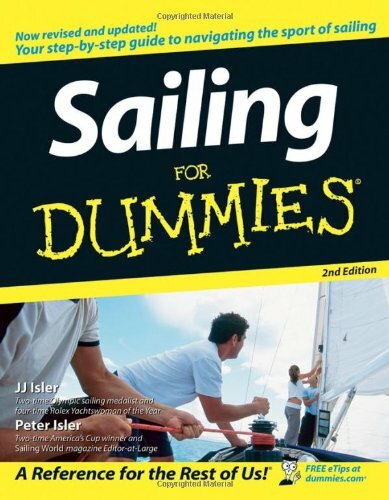 This is only some of the beginning information you are going to need to take in as an up and coming sailor. While this remains very important, you should not stop here. Becoming an independent sailor is a very attainable goal for all and is recommended by all that have acquired the skills already.